Building a successful facilities team. At Seattle-Tacoma International Airport (Sea-Tac), teamwork and collaboration are vital to keeping the facility running smoothly and securing. Today, we’ll be looking at how Frank, the account manager at the site, works closely with Whayne Enterprises, a sub-contractor that assists C&W Services at Sea-Tac. The Whayne Enterprises team is led by Jenny, and she and Frank have a long history of working together. Overcoming facilities challenges as a team. 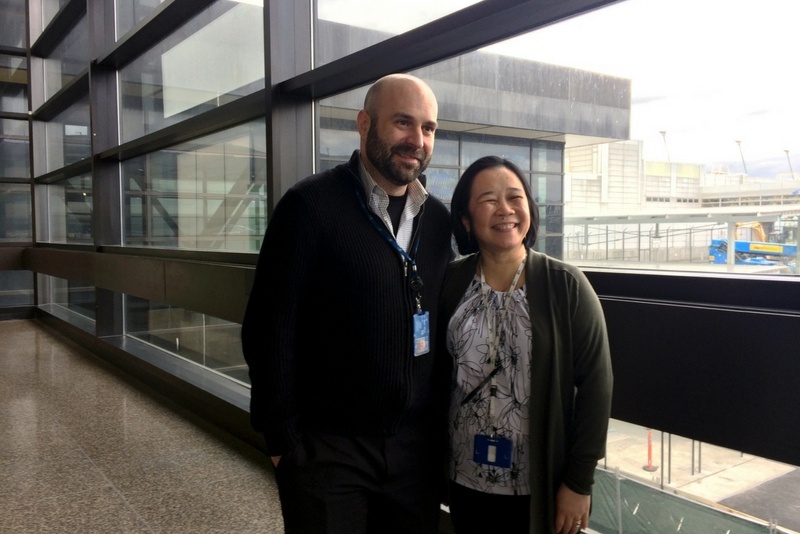 Jenny manages 35 employees at Sea-Tac, and she and Frank are always working together to improve effectiveness and efficiency at the site. This type of collaboration is something that C&W Services tries to promote at all of its client sites, as it leads to improved effectiveness; increases in productivity; and a tight-knit, hardworking team. Frank and Jenny are one example of how our team’s culture is the backbone of our service delivery success. We pride ourselves on delivering a broad portfolio of services, developing and empowering our people, and defining a new status quo. Get inspired and read more stories about employees just like Frank and Jenny.